A real gem, this town’s fame reaches well beyond Tuscia. Set in the verdant Valle dei Calanchi valley, Civita di Bagnoregio is a tiny village perched atop a tuff cliff. 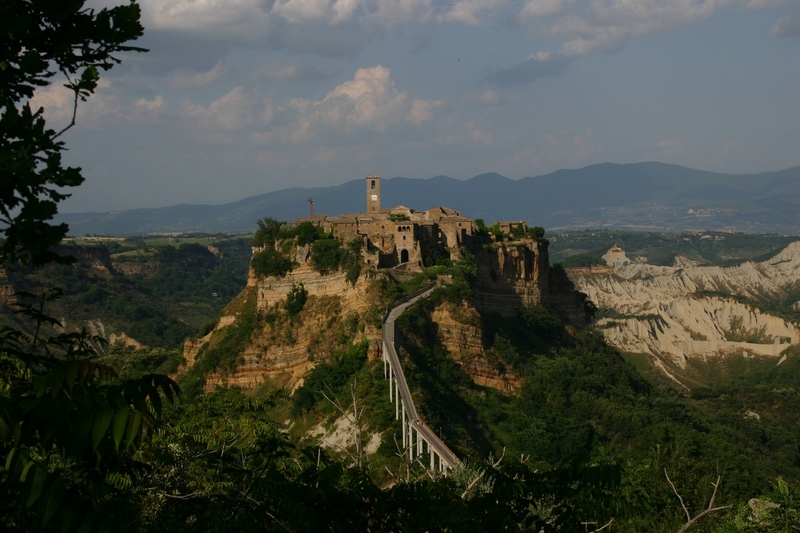 Two aspects set this town apart: its isolation (it can only be reached via a long, steep, pedestrian bridge) and the fact that, because the valley and the cliff itself are progressively and naturally eroding, Civita is slowly disappearing – hence its nickname, the “dying city”. Civita is also home to the grotto of St. Bonaventure, the celebrated medieval philosopher and St. Francis’ first biographer. The Saint was born here and the grotto was where he would meditate and pray.